“Huang Di Nei Jing” proposed that “heart governs the bright spirit”, but “Ben Cao Gang Mu” stated that “brain governs the bright spirit”. 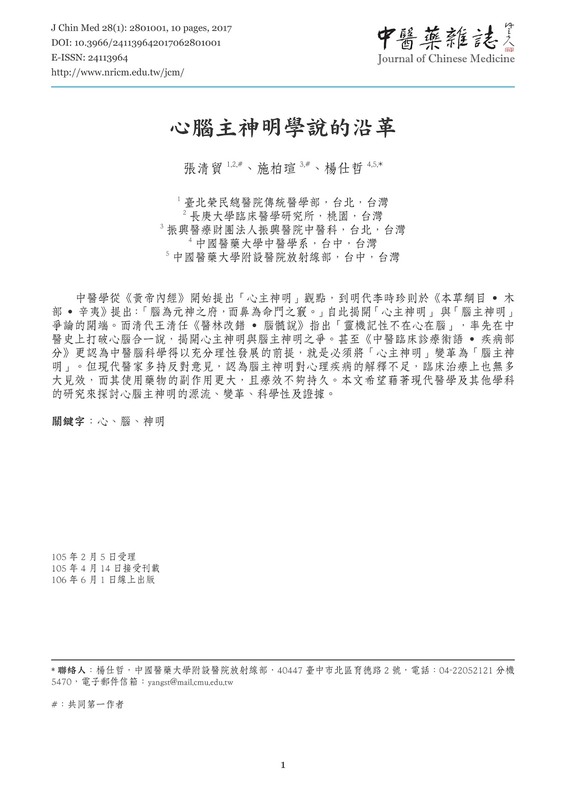 Then, “Yi Lin Gai Cuo” added to the debate by saying “Spirit and memory locate in the brain, not in the heart”. 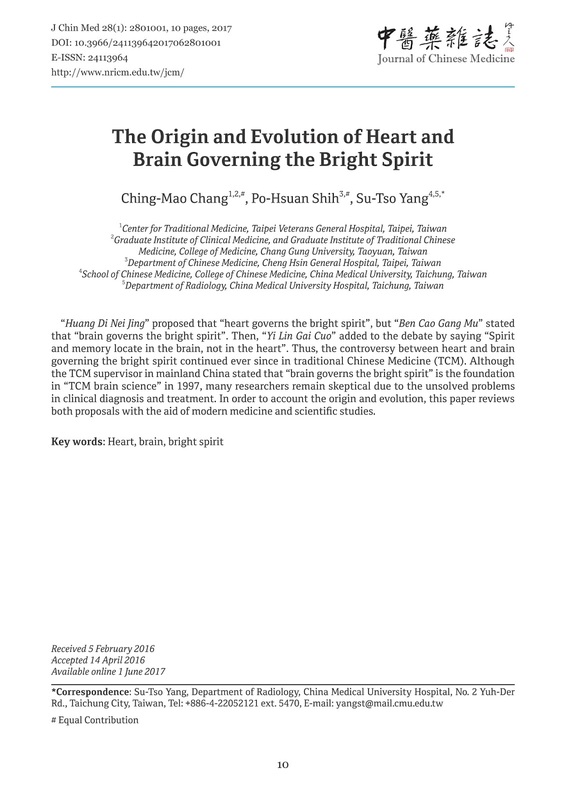 Thus, the controversy between heart and brain governing the bright spirit continued ever since in traditional Chinese Medicine (TCM). 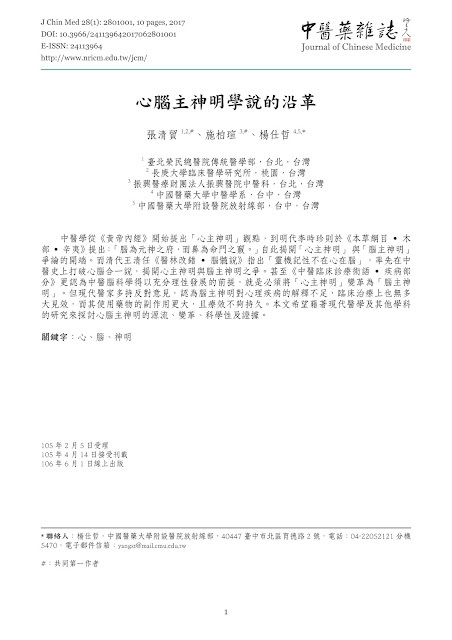 Although the TCM supervisor in mainland China stated that “brain governs the bright spirit” is the foundation in “TCM brain science” in 1997, many researchers remain skeptical due to the unsolved problems in clinical diagnosis and treatment. In order to account the origin and evolution, this paper reviews both proposals with the aid of modern medicine and scientific studies.